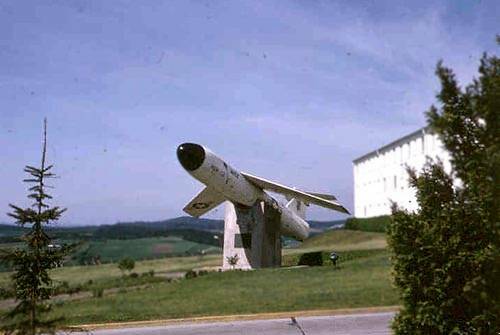 Sembach Base Display, circa 1966. Original Photo provided by Bob Bois, MSgt (Ret). For visitors with a web browser of 4.0 or better (Netscape and I.E. ), the image will load a close up version of Missile MGM-13A by letting your mouse curser scroll across the image.